I recently became familiar with the work of Emilie Somner of emilie inc. She is not only a stellar photographer, but an inspiring community leader as well. So it is with great honor that I announce that I am a “Wedding Photographer Sponsor” for her breast cancer awareness organization called Pink Initiative. 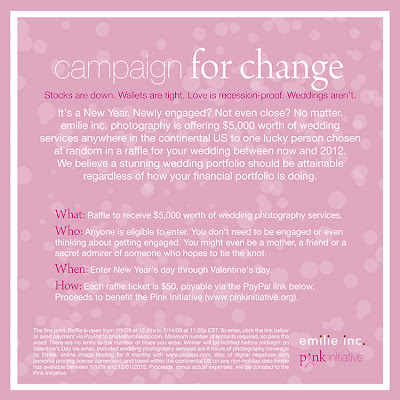 The exciting news for engaged couples is the generous raffle the Pink Initiative is offering! 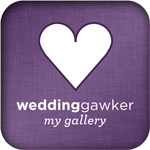 From now through Valentine’s Day, you can purchase a raffle ticket to win a $5,000.00 wedding photography package by emilie inc. Now that is what I call paying it forward! We are all hoping to find a cure to this nasty disease, so be sure to click on the ad below to buy your ticket, and help emilie inc. campaign for change!